Hip hop star Rick Ross, who is celebrating his 37 birthday today, was reportedly shot at early this morning during a drive-by shooting in Fort Lauderdale, FL. According to Local 10, police were called to an intersection in the South Florida neighbor around 5 a.m. in response to reports of a car accident and gun shots being fired. Upon their arrival, law enforcement discovered a Rolls-Royce that slammed into a residential building after being fired upon by an unknown vehicle. Witnesses on the scene say Ross and an unidentified woman were in the Rolls-Royce when it crashed to evade the gun fire. The rapper and his female companion were not injured during the crash and the police have yet to reveal their names for safety reasons. 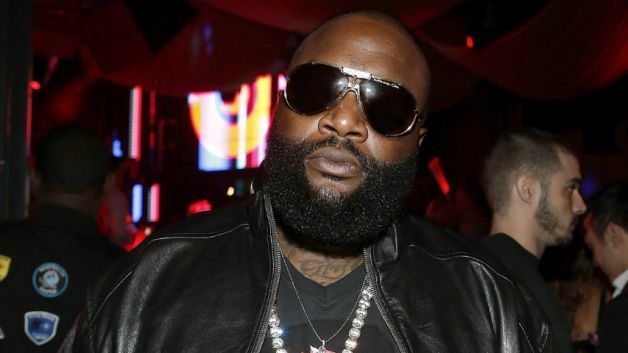 Police have confirmed that Rick Ross was driving the vehicle that crashed into an apartment building during the shooting. The “Diced Pineapples” MC was traveling with fashion designer Shateria L. Moragne-el, who is reportedly dating Ross.